Parents concerned about the effect of advertising on what their children eat will be happy to learn that a new study shows their opinions can lessen the impact of commercials and help young kids make healthier food decisions. 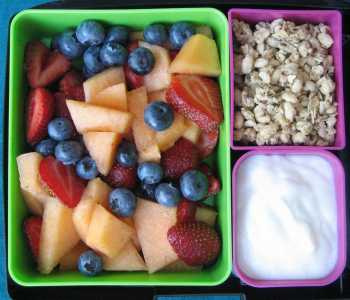 "Parents have an advantage if they are consistent with their long-term messages about healthy eating," study researcher Christopher Ferguson, of Texas Agricultural and Mechanical International University, said in a statement. Researchers at the university showed two cartoons to 75 children between the ages of 3 and 5. Between cartoons, some children were shown a commercial for French fries; others watched a commercial for apple slices with dipping sauce. chose the fries coupon, according to the study. As for the children who watched the commercial for apple slices, 46 percent picked French fries when their parents remained neutral. However, when their parents encouraged them to pick the healthier option, 67 percent chose the apple slices coupon. "Children were clearly influenced by the commercials they saw; however, parents are not powerless," Ferguson said. "Parental encouragement to eat healthy was somewhat able to help undo the message of commercials, although the effects of parents were smaller than we had anticipated," he said. The researchers said that because the effects of advertising on children can be considerable, commercials can be used to effectively promote healthier food options. "Advertisement effects can work both for and against healthy eating," Ferguson said. Pass it on: Although commercials influence what foods kids want to eat, parents' opinions also play a role in their food choices.